With December almost a fortnight away, it's time to make gift boxes. These printable gingerbread houses are perfect for the Advent calendar. 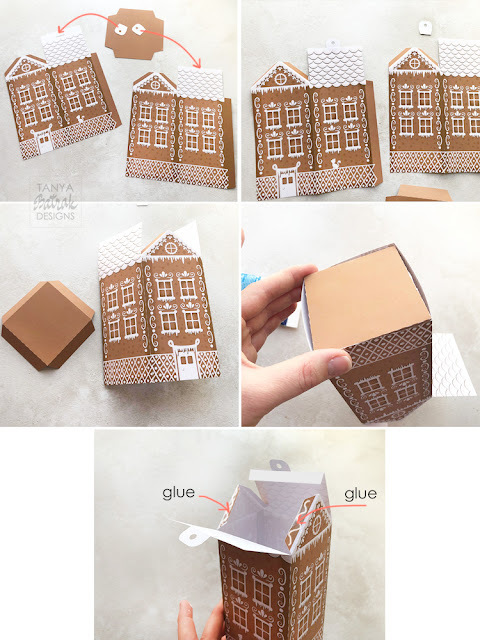 The tabs on the top are designed separately so you can use these boxes as usual gift boxes or adhere the tabs and hang them on a Christmas tree or a ribbon. 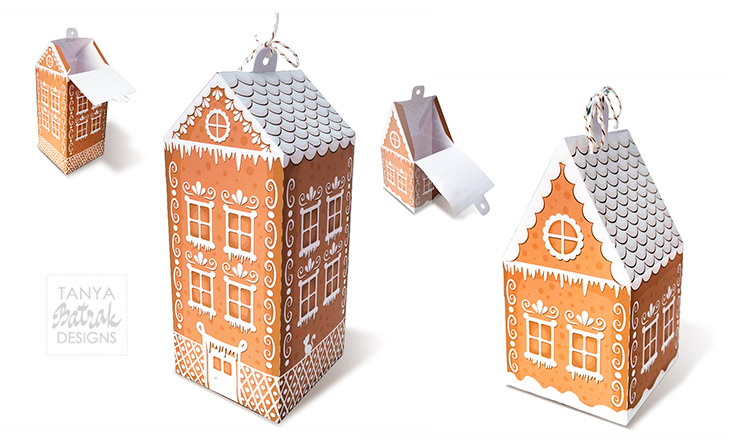 If you need you can use only the cut line to cut out the box from the patterned paper you want. 1. Cut out all parts. The tabs designed separately so it's your choice to use them or not. 2. There is a slot in the roof tab for the separate tab. The other separate tab adhere on the other side of the roof. 3. Adhere the two base pieces together. Then fold the pieces over to adhere the remaining tab in place. Pop the base up to form its shape. 4. Adhere the square to make the box bottom. 5. Adhere one part of the roof to the tabs.